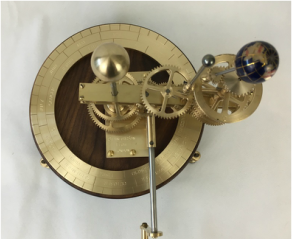 The Tellurion model has a greater focus on the Earth and more specifically demonstrates when and why eclipses occur. 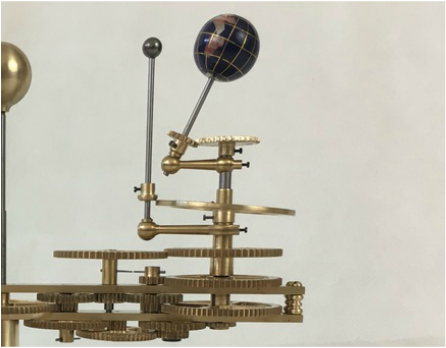 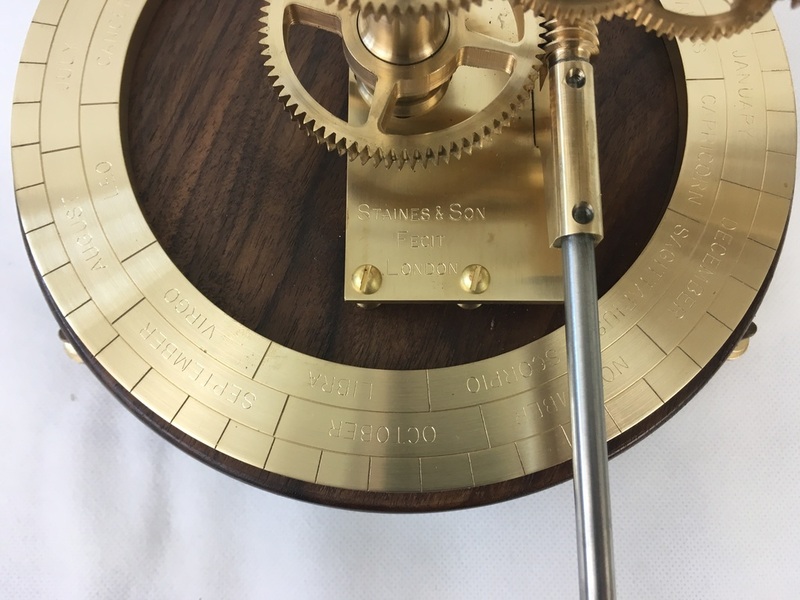 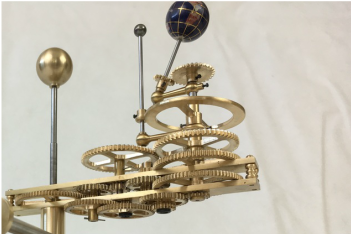 This Orrery shows the movement of the Earth in great detail with its 23.5 degree axial tilt spinning 365 times during a full Earth year. 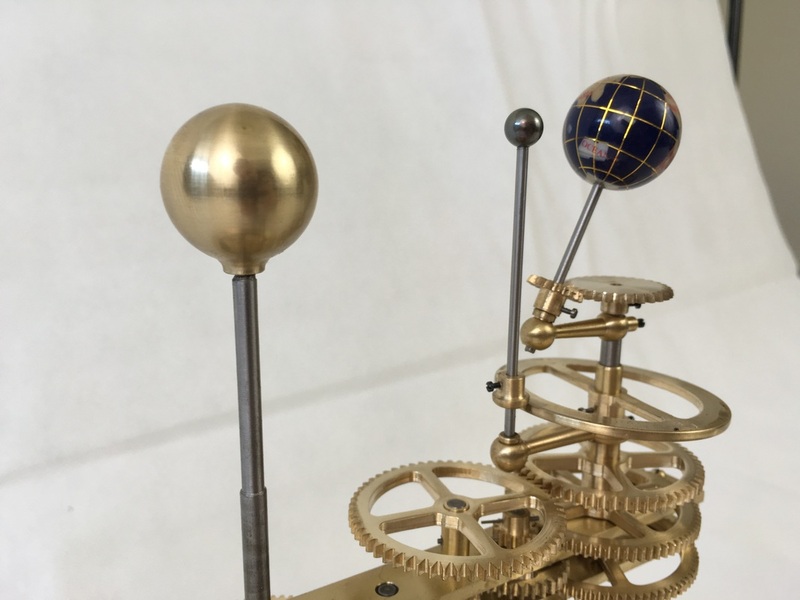 The fixed position of the axial tilt relative to the stars explains the changes in the seasons. 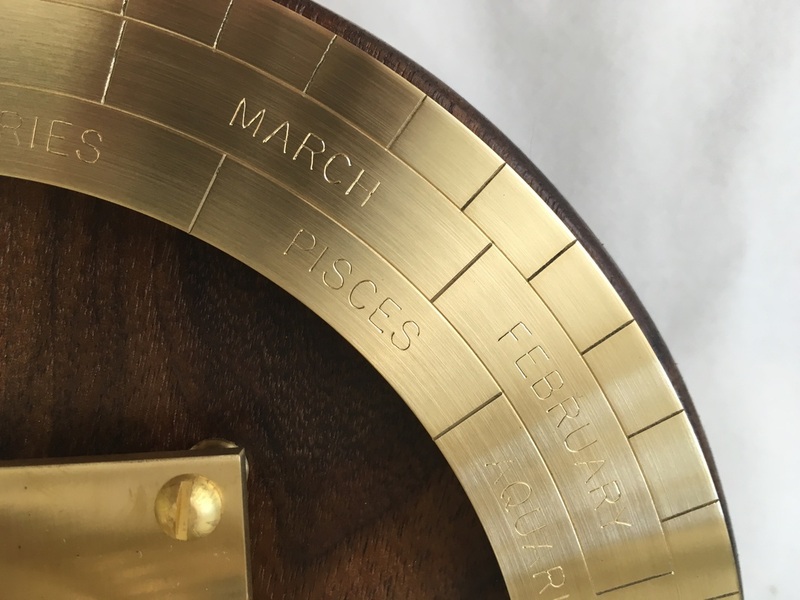 The combination of the three movements listed above help to demonstrate why eclipses occur and why they do not occur each month. 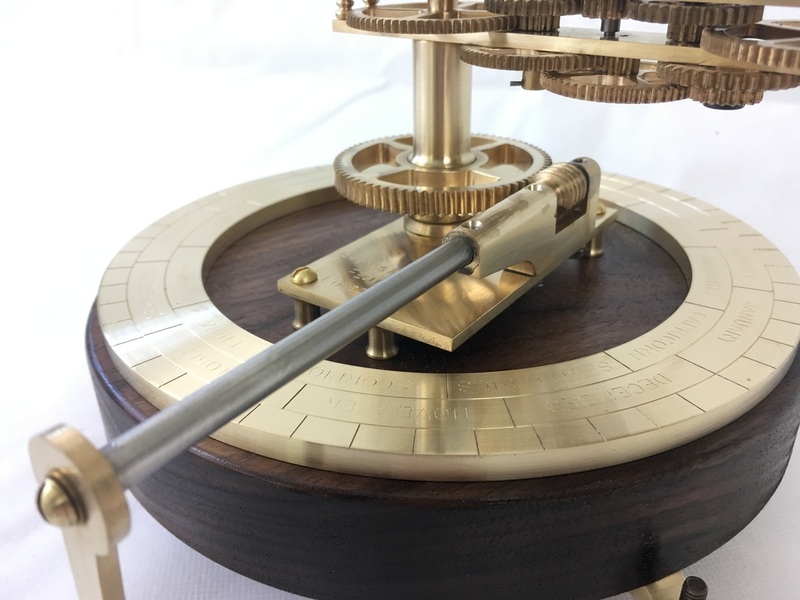 The brass inclined plate has been engraved with the ascending and descending nodes at the point were the lunar orbit matches the ecliptic. 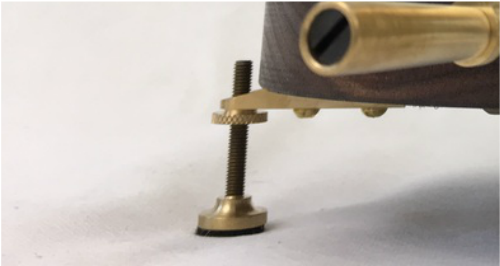 The base stands on three adjustable instrument legs.